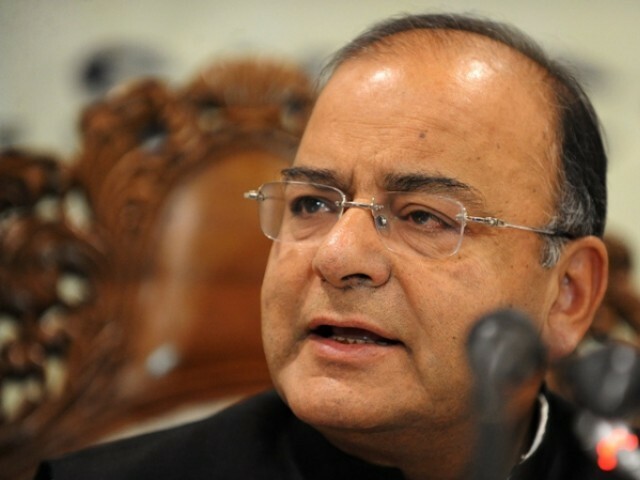 NEW YORK: Indian Finance Minister Arun Jaitley on Friday said that the onus of creating an environment for improving bilateral relations is more on Pakistan, the Press Trust of India reported. Jaitley made the remarks at a talk held at the New York-based think-tank Council on Foreign Relations on the second day of his 10-day visit to the US. He was answering a question on India’s foreign policy. Jaitley added that the message that India is interested in normalising relations with Pakistan and that the onus for this is on Pakistan has been “loud and clear”. India and Pakistan have lately been involved in a war of words with Modi making statements criticising Pakistan during a recent visit to Dhaka. Dude, you should have read the UN Resolutions before you decided to speak about it. Would you have some empirical data to share with us on this? Or, is this just your gut feeling, perhaps some rumors you have heard? From the m/o 90s when India opened its economy it has grown multi-fold, slow but grown. Hinduism and Hindus are not similar to Islam and Muslims. You see us all over the world and we are not feared and very peaceful. Even in your own country, your Govt monitors Mosques and Madressahs, but not Temples. When was a Temple attacked by your Military like they attacked Lal Masjid? If its not true in your own country, how can it be true elsewhere? India wants only one thing from Pakistan – Stopping of Terror. We asked nicely but you guys didn’t listen. Now, your Army guys are saying India is upto a lot of mischief in Pakistan. India tried the nice way of dealing with you, our PM even came to Pakistan! 100% of Pakistan’s waters come from India. Its only our humanity which hasn’t resorted to that step. Your Economy is not even in the G20 and barely growing at half of India’s pace. Even Bangladesh’s Economy will be bigger than yours in a few years. There are as many logical reasons to develop relations with India as there are perhaps emotional reasons to keep away from India. On the other hand, there are many emotional reasons to develop relations with India and there are as many emotional reasons not to do so. The ‘onus’ is on Pakistan. The Indian PM says Pakistan is a nuisance. The Indian Defence Minister talks of IS getting hold of Pakistan’s nuclear assets. An Indian State minister says India will choose a time and place of its own choosing(ostensibly to invade Pakistan). But, of course the ‘onus’ is on Pakistan. @Rex: Plz list few or stop bragging, we know we will benefit nothing from you. @Last Word: we can’t lower our standards to meet yours, you probably need to lift up your standards. you have average 45-47 nuclear scientist getting killed from last 20 years. like you have peaceful relations with all your neighbors? you have better with the one that you can undermine, china, pakistan, srilanka, bangladesh(which has submitted to you). you don’t have good relations, least to say. Read the UN Resolutions which you guys keep talking about. The “Onus” indeed is upon Pakistan. It has to remove her troops and meet the conditions of the ceasefire. Here are the main points taken from the article “Kashmir: The origins of the dispute, by Victoria Schofield, author of ‘Kashmir in Conflict’ available on BBC News website (http://news.bbc.co.uk/2/hi/south_asia/1762146.stm)”, in response to your continuous bragging that Maharaja has acceded the state to India. 1- The Maharaja signed a “standstill” agreement with Pakistan instead of India. 2- The then Governor-General, Lord Mountbatten, believed the developing situation would be less explosive if the state were to accede to India, on the understanding that this would only be temporary prior to “a referendum, plebiscite, election”. 3- To date no authentic original document has been made available. 4- Pakistan immediately contested the accession, suggesting that it was fraudulent, that the Maharaja acted under duress and that he had no right to sign an agreement with India when the standstill agreement with Pakistan was still in force. 5- By stating that the Instrument of Accession was signed on 26 October, when it clearly was not, Pakistan believes that India has not shown good faith and consequently that this invalidates the Instrument of Accession. 6- Pakistan is also of the view because Hari Singh fled from the valley of Kashmir, he was not in control of his state and therefore not in a position to take a decision on behalf of his people. Further, India herself rendered the Accessions null & void by violating the basic condition of the Accession mentioned in clause 8. You can either believe in #3 or in #8.